When you are selling your home, you must be aware of the difference between just any real estate agent that can simply list your property and a licensed, knowledgeable and experienced REALTOR® that will properly market your home. With the sale of such a large financial asset on the line, the responsibility at hand is far too important to simply choose a friend or the convenient local real estate brokerage. You need a REALTOR® with extensive knowledge of the community and access to the best marketing tools available. You need your property to be found where today’s homebuyers are looking – on the Internet. This website provides you with all of the tools you need to find your ideal life venue. 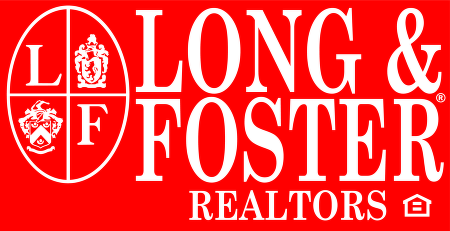 At Long & Foster, helping you search through all of the real estate listings in our area is just the beginning. From purchase to financing to connecting with utilities to remodeling and beyond, we can help. 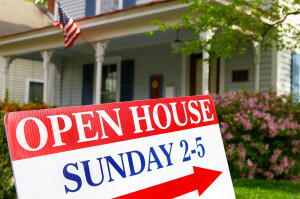 I will give you the information you need to prepare your home and deal with every aspect of the sale. I offer a comprehensive marketing plan designed to provide the maximum exposure for your property. My local market knowledge and global resources create an effective marketing strategy. I will use out-of-the-box thinking and targeted marketing techniques to sell your home for the best possible price in the shortest amount of time. buyers for your home. Selling your home can be very challenging. How much is it REALLY worth and how should it be priced? How long will it take to sell? How do you handle buyers making undesirable offers? Buyers want to buy your home for as little as possible. Through detailed comparisons between your home and recently sold homes, and other properties currently on the market in Charlottesville, together we can determine what your home is really worth in today’s market. In the industry this is called a Comparative Market Analysis or CMA. We will do this for you, for free, if you fill out the short form at the bottom of this page. Buyers have their own timelines, and they might not be the same as yours. We will make sure they don’t waste your time by qualifying them as to their real ability to afford your home. More buyers interested in your property means more money in your pocket when it is sold. Our extensive marketing of your home assures you of maximum value. When I begin marketing your home, I will immediately notify the buyers that I am currently helping and also notify all the real estate agents at my firm Long and Foster, who will tell their homebuyers. It is a powerful way to jump-start the sale of your home. You and I will walk through your home. I will advise you how to present your property to maximize its selling price. Some improvements are worth it, and some are not. We will do our homework and make sure your home is as appealing to potential buyers as possible. Contracts are complicated, and intimidating. You don’t want to go to a closing with some doubts. You will have the full benefit of my real estate experience and knowledge for a smooth and successful closing. I will protect your interest and make sure you conform to Virginia statutory disclosure requirements for the sale of your home. I will also inform you of any inspections that you should consider having done ahead of time to smooth the negotiating process with buyers and to ensure a successful closing. Call 434 531 3829 or contact me for a complimentary in-home presentation. I will come to your Charlottesville home or office and present you a plan that details exactly how I will market your home.